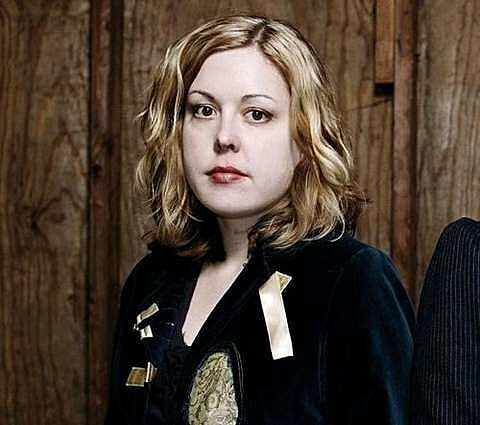 While her ex-Sleater-Kinney bandmates have been keeping very busy in Wild Flag, Corin Tucker has kept quiet since the release of her 2010 solo album, 1,000 Years. She just announced that she’ll follow that album with Kill My Blues which is due out September 18 via Kill Rock Stars. The album was done with the Corin Tucker band, which includes Sara Lund (Unwound), Mike Clark (Stephen Malkmus and the Jicks), and Seth Lorinczi (Golden Bears). Check out the tracklist below. The Corin Tucker Band will be touring in support of the album this September, coming to NYC for two shows: Mercury Lounge on September 27 and The Bell House on September 29. Tickets for those shows are not on sale yet, but check ticketmaster and ticketweb for updates. Meanwhile, you can catch Wild Flag playing a free show in Prospect Park on August 3 with Mission of Burma.